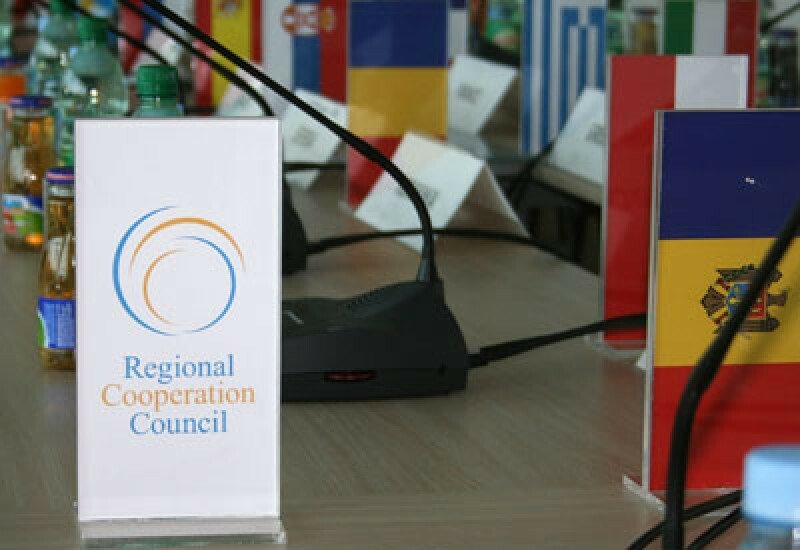 SARAJEVO – The Secretary General of the Regional Cooperation Council (RCC), Hido Biscevic, presented his latest quarterly report on the activities of the RCC Secretariat to the 29 members of the organization's Board, who gathered in Sarajevo today. The report covers the period between 9 May and 9 September 2009. Secretary General Biscevic received full support of the RCC Board to the Secretariat's activities. He informed the members of the situation in South East Europe and the main challenges the region is facing in implementing development programmes. The RCC Secretary General also highlighted the importance of abiding by the principle of all-inclusiveness of regional cooperation in the RCC context. He stressed that the Secretariat successfully worked with its members on a number of projects in the priority areas of economic and social development, infrastructure and energy, justice and home affairs, security cooperation, building human capital and parliamentary cooperation in South East Europe. The RCC Board was also presented with a proposal by the United Nations Development Programme (UNDP) to establish a regional RCC trust fund. The fund would support the implementation of projects in South East Europe within the RCC priority areas.